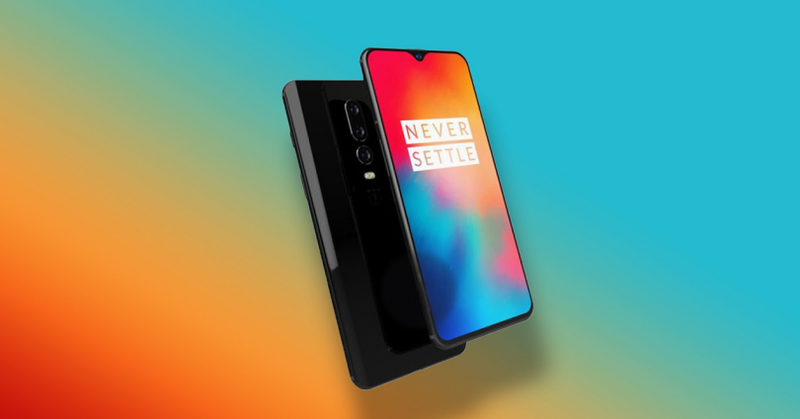 The OnePlus 6T launch date has been finally announced, OnePlus has sent the information of the launch on the mail to buy the ticket of launch event starting 17th October from 10:00AM IST. The device will be launched on 30th of October in New Delhi at KDJW Stadium (Indira Gandhi Stadium Complex). The launch event will start from 8:30 PM IST on 30th October, making the most talked phone a reality. The email says, “Are you ready to unlock the speed? We’re unveiling the new OnePlus 6T on October 30 at KDJW Stadium (Indira Gandhi Stadium Complex) in New Delhi. 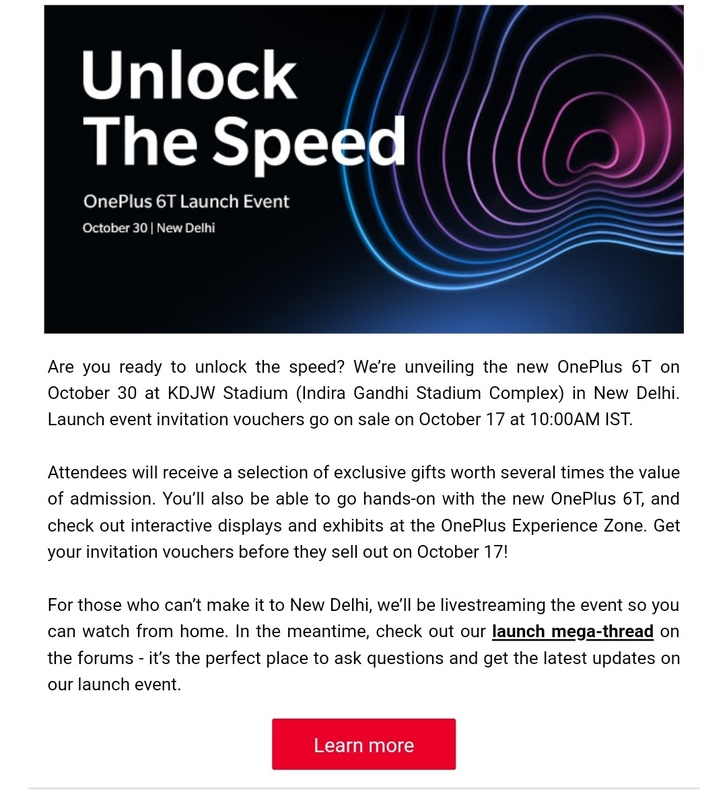 Launch event invitation vouchers go on sale on October 17 at 10:00AM IST. Attendees will receive a selection of exclusive gifts worth several times the value of admission. You’ll also be able to go hands-on with the new OnePlus 6T, and check out interactive displays and exhibits at the OnePlus Experience Zone. Get your invitation vouchers before they sell out on October 17! Earlier the pre-order page of the device was made live on Amazon India website and App, which was valid till October 30.